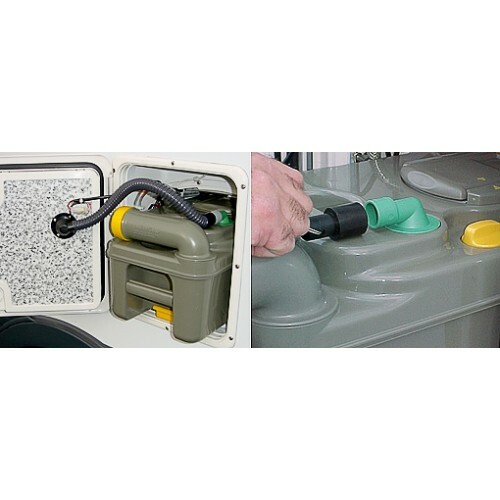 When it comes to getting rid of unpleasant odours, most mobile toilets are treated with chemical products, many of which are harmful to the environment. 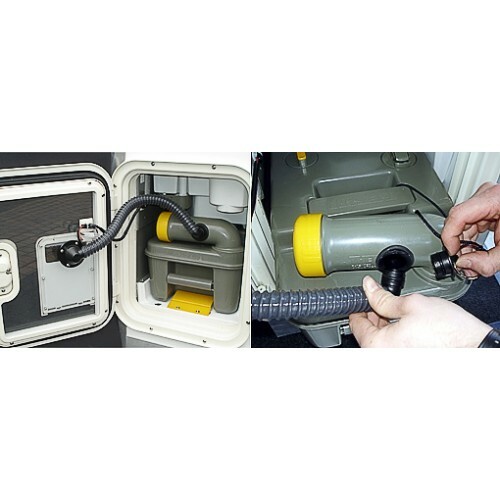 In fact, 90% of all motorhomes and caravans are fitted with mobile toilets that, according to their manufacturers, are designed to be used with chemicals for odour reduction and decomposition. Their waste tanks therefore have to be refilled with chemical products, which normally have a polluting effect, every time they are emptied. 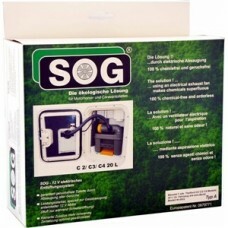 The innovative and environmentally friendly SOG® system finally waves goodbye to horrible odours for good! And what’s more,it does so in an environmentally friendly manner and without any chemicaladditives! This is made possible by a special high-performance fan that automatically turns on when the toilet's gate valve is opened. 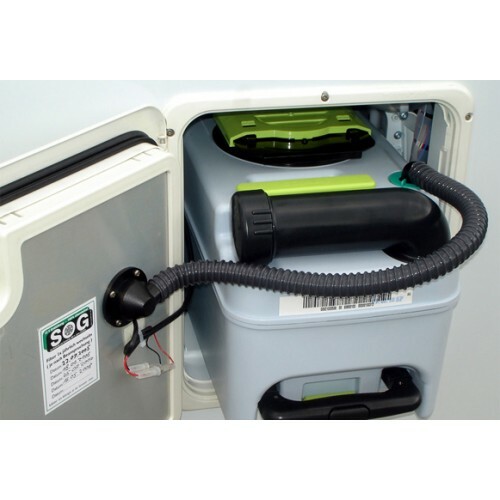 The fan creates negative pressure in the waste holding tank and this pressure simply removes unpleasant odours by suction. During this process, the incoming flow of fresh air acts as a seal and fully prevents any unpleasant biogas from escaping from the tank. The system is made even more efficient by active filters made of organic carbon. 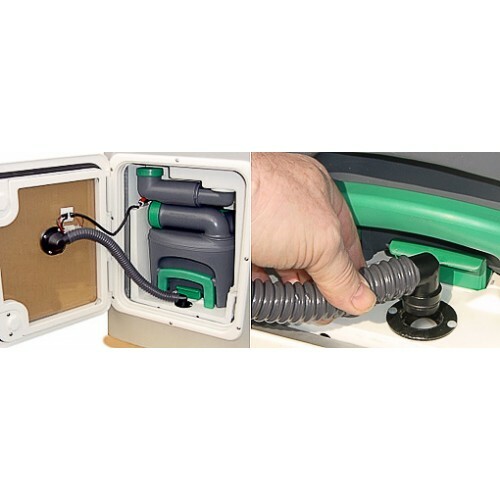 The ventilator is mounted directly inside the service hatch. 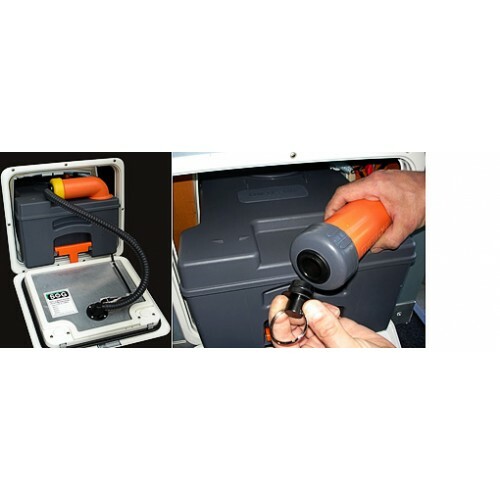 The case containing the active charcoal filter is fitted on the exterior. 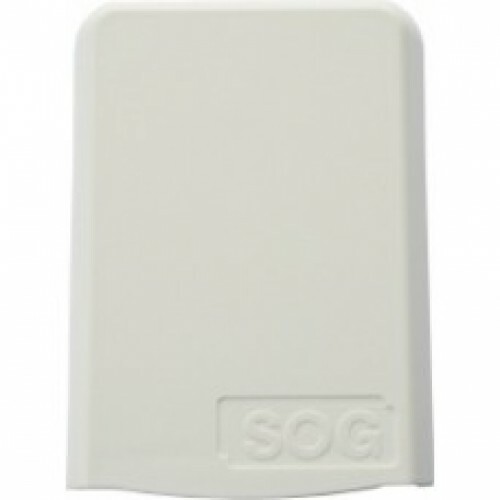 The attractively designed plastic case is available in the colours white, light grey and dark grey and can also be painted the same colour as your vehicle. 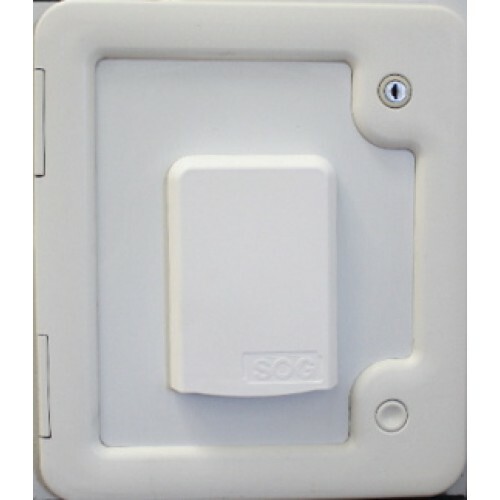 SOG® for the service hatch is our easiest ventilation system to mount.